Man that looks nice. Wait 'till you drive it in our wind. Where did it come from and where are you? Might check again, most pancakes are not 1600. I think 73 is 1800.
so someone put a bug motor in a T4 bus. that is not good. 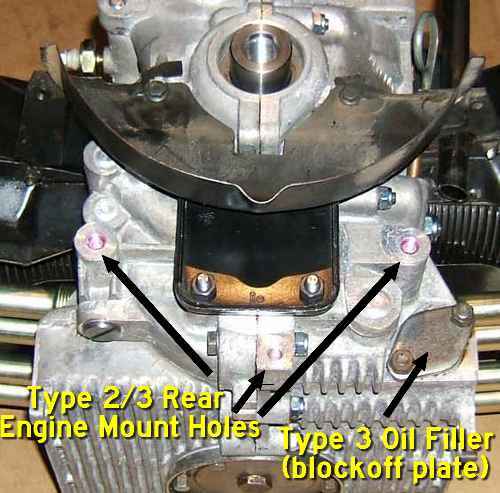 does it have the rear mount bolted to the block like this or like the 2nd pic? Your scaring me now. A1973 is a T-2. Not a T-4. Correct me if I'm wrong. I did not find a rear or very rear of engine below the flywheel pully engine mount. Can find one in my Bentley book either. If you have an AK block that would be out of a 73 bug or ghia. It seems that someone replaced your original engine. Lots of people put built up t1 in bays because the t4 is super spendy to build. The gear ratios in a late bus with a 1600 would make it hardly drivable, as you've hinted. Usually there is a bar across back of engine to help support the weight of the motor. I don't remember the years, but some bays have a trans mount up top to hold the trans, then in your case engine "hangs". Im not sure if that mount is designed for the weight or not. And you say pancake engine, so is it dressed like a t3? the email function of this board is INOP, so i havent seen it, i was waiting till i thought your post was complete to move us to a new board. also im sure youve noticed, the date function has also stopped…..
OK let me clear up some confusion I may have created. The bus as beautfull as she looks was purchased all knowing that the orginal pancake motor was gone but replaced with a "non- rear mount" 1600. Sorry I called it a pancake it is not. I traced the serial numbers down and you are correct its a 1600 46 HP out of a bug. 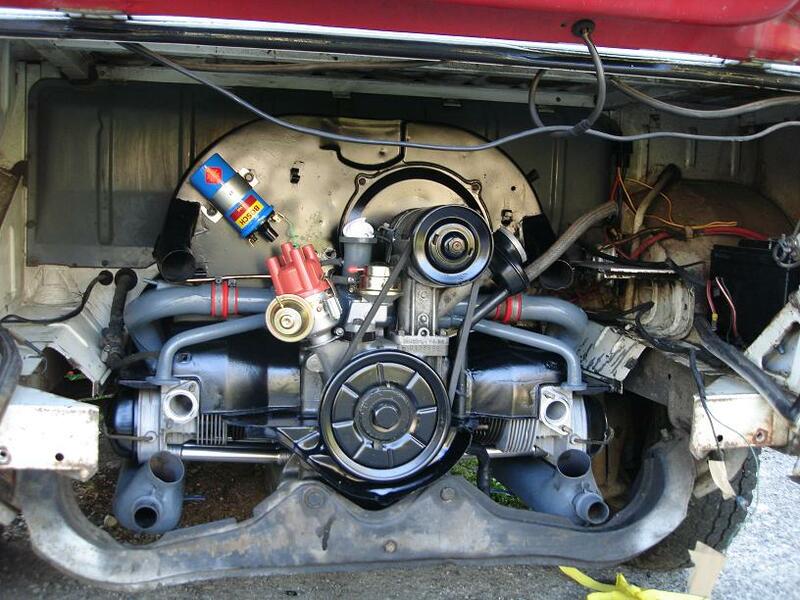 The engine is mounted as designed for 1973 with the upper mounts near the top of transaxle. Now my search is on for a 1800. I have a couple of leads. In the meantime I have plenty other projects ( wiring, body and paint, Window rubbers all around and some minor rust ) that will keep me busy until I locate a bolt on and ready to rock motor.